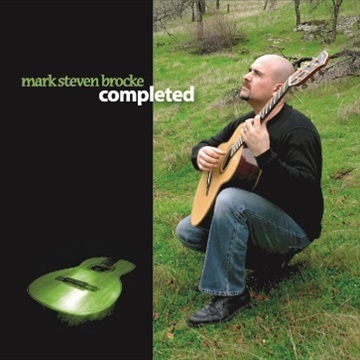 Released in 2005, Mark Steven Brocke's debut album titled "Completed" has become a favorite of acoustic guitar fans everywhere. Completed includes a variety of original compositions including the toe tapping country/blues flavored “Ditty for Doyle”, an homage to the incomparable Doyle Dykes, and the title track, “Completed” which was the first solo guitar instrumental composed by Mark. The other original tune titled “Trade Mark” is a smooth jazz styled number and the only nylon string guitar track on the album. In addition to these original compositions, the album also includes original arrangements of traditional hymns “Come Thou Fount of Every Blessing” and “How Great Thou Art” along with arrangements of more contemporary Worship songs “More Love More Power”, “There is a Redeemer”, “As The Deer” and “I See The Lord”. Last, but not least is a jazzy rendition of “America The Beautiful” which is probably unlike any version you’ve heard before.